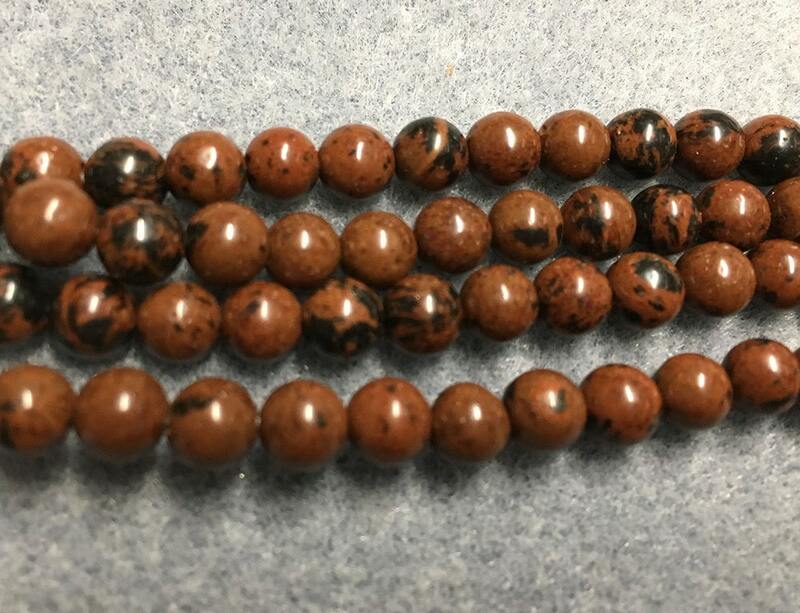 Mahogany Obsidian smooth round beads are 4mm in size. Color is dark-brown to black with red banding. There are approx 45 beads per 8 inch strand.